Interesting option to spend some time swimming in Ann Arbor. Is it not your first time here? Tell us how it went using the Facebook comments below or contacting us directly! 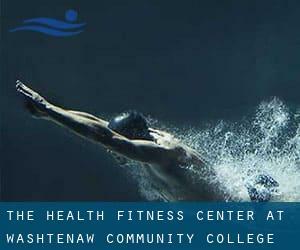 The Health & Fitness Center at Washtenaw Community College is only one of all the swimming pools Swimia is providing you, and its knowledge has been shared with us by a swimmer like you.Bear in mind you can now promote The Health & Fitness Center at Washtenaw Community College by sharing this page with your friends, adding comments and linking to us. This sports center delivers 25 yards, 5 lanes, Salt Water, Indoors. For this Swimming Pool, only phone number is number here. If you believe that any of the information and facts is incorrect, please make contact with us. Assist us be better day-by-day. 2960 Washtenaw Ave. and Platt Ave. , Ann Arbor , MI , USA (Postal Code: 48107). Swimmers like you reported 25 yards, 4 lanes, 3.5f - 6 feet 2in depth, Indoors. Phone number and email address are number for this Swimming Pool. Updated on 2019 715 Brooks St. , Ann Arbor , MI , USA (Postal Code: 48103). Among all the activities provided by the center, in case you are considering swimming you will enjoy 25 yards, 6 lanes, Indoors. Just in case you wish to contact this Swimming Pool before dropping by, we only know the phone number. 606 E. Hoover Ave. , Ann Arbor , MI , USA (Postal Code: 48104). Swimmers like you reported 25 yards x 25 meters, 6 lanes, Indoors. Unfortunately we do not have the email address of this Swimming Pool, but we can give you the phone number. 401 Washtenaw , Ann Arbor , MI , USA (Postal Code: 48104). Swimmers like you reported 25 yards, 6 lanes, Indoors. Unfortunately we do not have the email address of this Swimming Pool, but we can give you the phone number. 400 W. Washington , Ann Arbor , MI , USA (Postal Code: 48103). This sports center offers 25 yards, 6 lanes, Indoors. For this Swimming Pool, only phone number is number here. Bally's Vic Tanny - Briarwood Dr.
615 Briarwood Circle , Ann Arbor , MI , USA (Postal Code: 48104). Among all the activities offered by the center, when you are considering swimming you are going to appreciate 25 yards, Indoors. Just in case you want to contact this Swimming Pool just before dropping by, we only know the phone number. 2375 Hubbard , Ann Arbor , MI , USA (Postal Code: 48109). Swimmers like you reported 25 yards x 24 feet, 6 lanes, Indoors. Unfortunately we do not have the email address of this Swimming Pool, but we can give you the phone number. 2975 W. Liberty , Ann Arbor , MI , USA (Postal Code: 48103). Swimmers like you reported 25 yards, Indoors. Unfortunately we do not have the email address of this Swimming Pool, but we can give you the phone number.